MOSCOW (NYTIMES) - The Trump administration on Friday (April 6) announced new sanctions against a list of Russian business tycoons, government officials and corporations, part of the continuing political and economic fallout from the nerve agent attack on a former Russian spy and his daughter in England last month. The roster includes some of the most powerful people and entities in Russia, with ties to President Vladimir Putin and his government. Many of them are suspected of corruption sanctioned by the Kremlin. Bogdanov, 66, is the director general and co-owner of Surgutneftegas, the fourth-biggest oil producer in Russia, which has an unusually opaque ownership structure, even by Russian standards. On paper, Bogdanov, an associate of Putin's since the days when the president was a local official in St. Petersburg, owns just 0.37 per cent of the company, with a majority of its shares controlled by a web of "noncommercial partnerships". Surgutneftegas keeps cash reserves of about US$38.5 billion (S$50.6 billion) more than any other Russian company. Why it would stockpile so much money is a mystery that has fueled speculation that Bogdanov has helped hide money for Putin. Those rumours have never been substantiated, but efforts to probe the company's ownership and finances have sometimes proved perilous. Bill Browder, a US-born London-based financier who used to work in Moscow but now faces arrest if he returns, first came under attack from Russian authorities for tax fraud and other alleged crimes after he started digging into the oil company's affairs in the early 2000s. One of the most secretive Russian tycoons, Bogdanov avoids flaunting his wealth. He is known as the "hermit of Siberia" because, unlike many Russian billionaires, he does not live in Moscow, but has stayed close to his Siberian oil fields. Deripaska controls Basic Element, which in turn owns more than 100 Russian and international companies. He laid the foundation of his empire in the "aluminum wars" of the 1990s, a vicious struggle for control of natural resources in which he emerged triumphant, becoming the undisputed king of aluminum production in Russia. 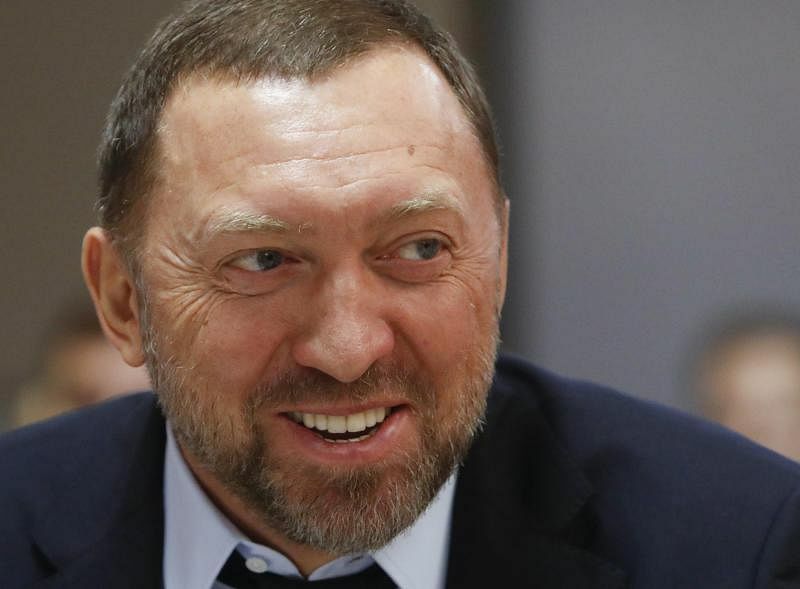 Deripaska, 50, married Polina Yumasheva, whose father, Valentin Yumashev, worked for former President Boris N. Yeltsin and married Yeltsin's daughter, Tatyana Dyachenko. Yumashev and Putin were both top aides to Yeltsin in the late 1990s. Later, Deripaska employed Paul Manafort, the political consultant who later became director of President Donald Trump's 2016 campaign. Manafort has since offered to testify in an investigation into Russia's role in the election. Deripaska and Manafort have since feuded, tangling over money that each accuses the other of owing. Deripaska was at the centre of a recent video investigation, put together by Alexei A. Navalny, an anti-corruption campaigner and a vociferous opponent of Putin. The investigation found that Deripaska organized an outing on his luxury yacht, attended by Sergei Prikhodko, deputy prime minister of Russia and a Kremlin foreign policy adviser, and female escorts. 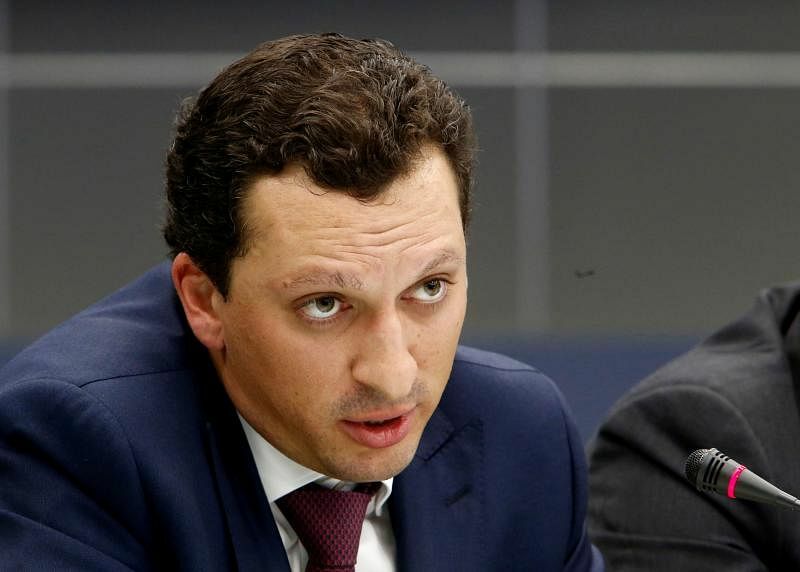 Kerimov, 52, is both the owner of Polyus, Russia's biggest gold mining company, and a member of the Federation Council, the upper chamber of Russian parliament. He has been under investigation in France for tax fraud and money laundering, suspected of buying several villas in Cap d'Antibes through shell companies. He was one of the main donors to the construction of Moscow's cathedral mosque, which was opened by Putin and Turkish leader Recep Tayyip Erdogan in 2015. He is a native of Derbent, Dagestan, an ancient walled town in the North Caucasus, on the border with Azerbaijan. Rotenberg, 44, is the son of Arkady R. Rotenberg, Putin's former judo partner, and their family's business fortunes have gone hand-in-hand with Putin's political career. Igor Rotenberg is a junior partner in one of the country's largest construction companies, controlled by his father and his uncle. The family's company was awarded lavish contracts to build pipelines for Gazprom, the state-controlled energy giant, and a bridge to Crimea, the Ukrainian Black Sea peninsula annexed by Russia in 2014. Igor Rotenberg owns 50 percent of a company that collects tolls from Russian truckers, who protested in vain in 2015 over what they denounced as extortionate fees. Shamalov, 36, became a high-ranking executive and large shareholder of Sibur, a gas processing and petrochemical company, shortly before he married Katerina Tikhonova, who is widely believed to be Putin's daughter. 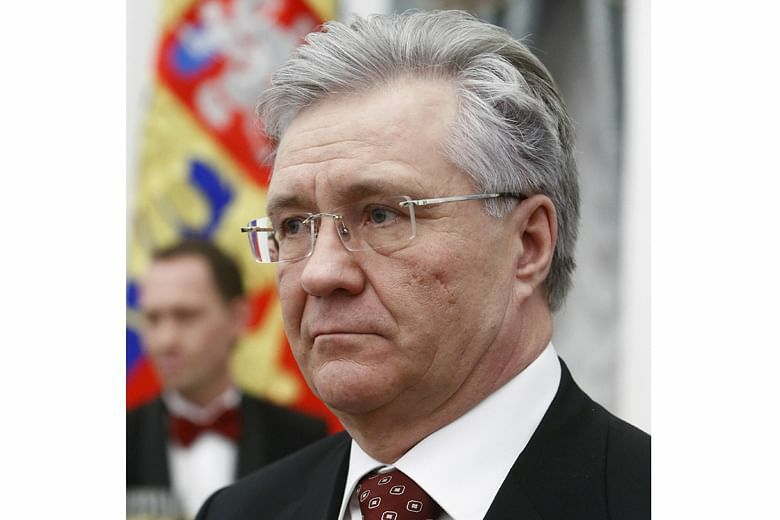 In 2014, a year after their marriage, the state-owned Gazprombank lent Shamalov US$1 billion, which he used to buy a much larger stake in the company, 17 percent, from Gennady Timchenko, a businessman and member of Putin's inner circle. Around the time Shamalov was reported to have separated from Tikhonova, he sold roughly the same portion of the company's shares. Shamalov's father, Nikolai, was a former member of the Ozero dacha compound near St. Petersburg, together with Putin. Skoch, 52, a member of the Russian parliament, part owner of a steel company, and a shareholder in the investment conglomerate run by Alisher B. Usmanov, a close associate of Putin's, who controls one of Russia's largest phone companies. Numerous media reports have linked Skoch to organized crime - specifically to the syndicate known as the Solntsevo gang. 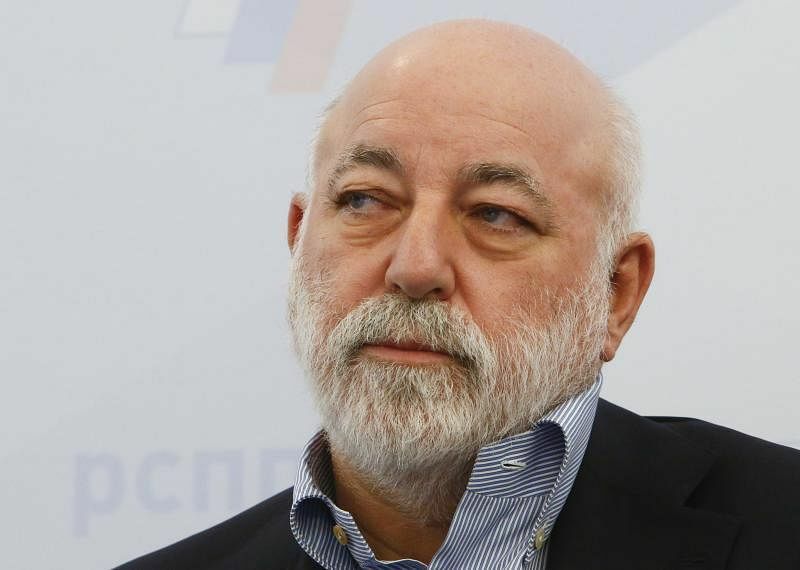 Vekselberg, 60, who is close to the Kremlin, is the founder and principal owner of Renova Group, a large investment conglomerate with an array of assets around the world, including metals production, energy, telecommunications and banking companies, and a number of Russian airports. Like many of Russia's oligarchs, he capitalized on the fire sale of state-owned assets in the 1990s. But unlike some who are known primarily for crony capitalism and corrupt deals, Vekselberg is seen as a serious businessman. Forbes Magazine estimates his worth at US$14.6 billion, making him one of Russia's 10 wealthiest people, and the richest on the sanctions list.